Looking back at my post on March 3rd, I wonder if I truly understood at the time how challenging March would be?! I am thankful that so many of my Weight Watchers members have been diligent in posting their accomplishments in our March Madness Challenge. It has been very helpful in keeping myself grounded. 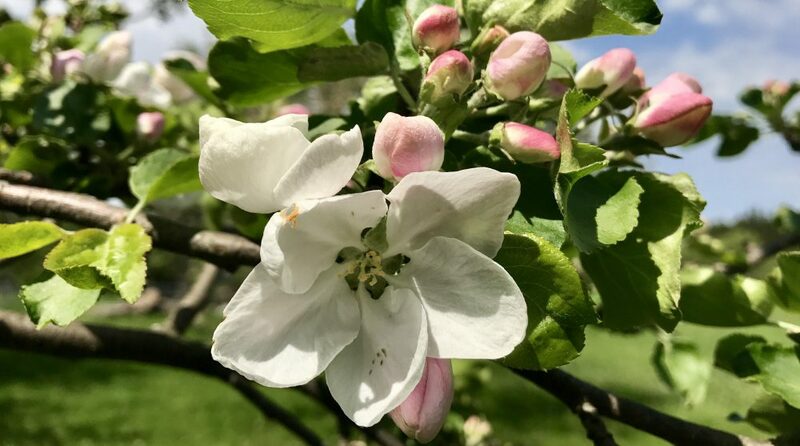 Though not many things on the challenge list are new to me, it has been important to reflect and realize how many healthy lifestyle routines I have adopted in the past six years. As a teacher I try to stay positive, but today was one of those days when I felt deflated and fatigued. When the lunch bell sounded I quietly shut my classroom door, turned off the lights, and tried to be still as hot tears slid down my cheeks. The waterworks were due to frustration and a quick phone call and pep talk from my husband transformed the tears to a smile. I stretched, did my best deep yoga breathing, and out of the corner of my eye something captured my attention. It was a magnet on my chalkboard. 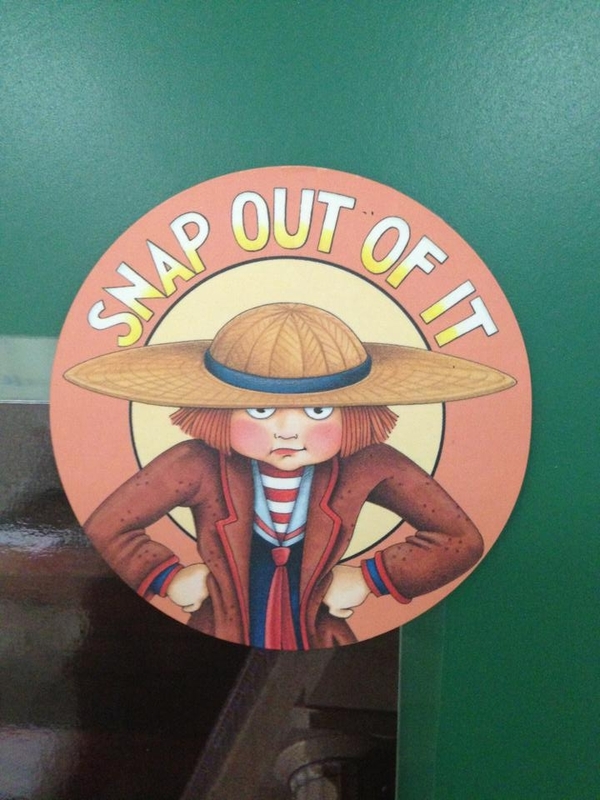 How many times over the years have I let Mary Engelbreit‘s simple phrase “SNAP OUT OF IT” be my guide. Today I needed this shot of tough love. Mary Engelbreit’s whimsical art is sure to induce a smile. I really needed this reminder today and how perfect that it fits in so well with the March Madness Challenge #1: Find a quote or mantra to display in an important place. So many times in the past few weeks I have I had to remind myself to snap out of the stress and weather induced blues and fatigue. This afternoon I took the magnet and hung it directly in my line of vision. 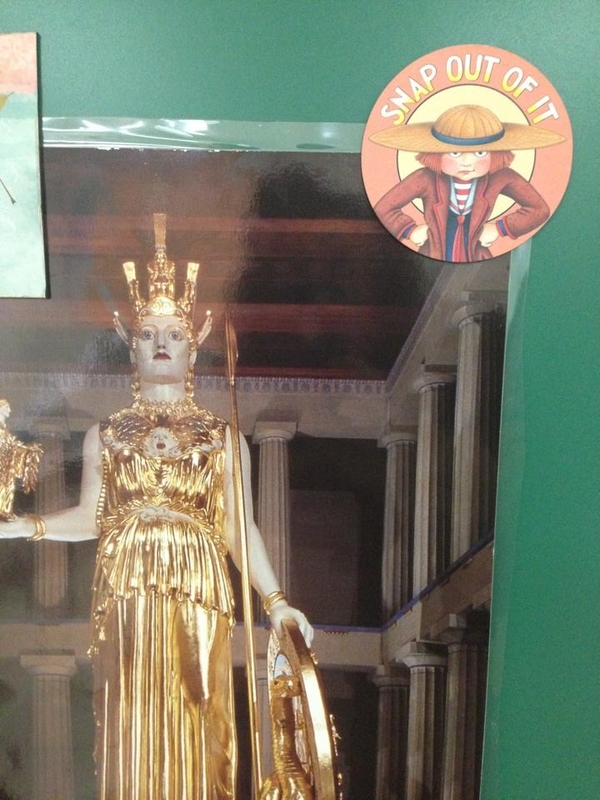 It is now holding up a poster of the Greek Goddess Athena that was a gift from a student a few years ago after we studied Greek Mythology. Athena always reminds me of wisdom, watchfulness, and strategy which are all important parts of my weight management journey. They will now both serve as my anchors to keep me empowered and balanced. Tonight I stayed late at work to get through a pile of grading since tomorrow is the end of the marking period. When I got home I felt exhausted but I pushed through it and managed to spend time on the treadmill. I had a light dinner and I still had quite a few Points Plus left for the day so I decided to try #26 on the March Madness Challenge list: Try a new combination of green smoothie. For a long time I have been meaning to try a recipe that I had bookmarked for a Gingerbread Green Smoothie. I love to add molasses and nutmeg to my green smoothies because it really brings out a depth of flavor. I used fresh ginger, a frozen banana, and also added a few ice cubes. The recipe can be found here at the preppy paleo. It was really spectacular and is something that I will be making again (probably as soon as this weekend). I have to say that it tastes very decadent and indulgent but is so healthy and packed with nutrients. Tonight it made a fantastic post-workout and after-dinner treat. I recommend it if your taste buds need a boost. Trying new recipes is a great way to avoid a food rut. Emily was an exceptional student in the 9th grade and she continues to inspire awe. I am so proud of her and can only imagine the young minds that she is inspiring now that she is a teacher. While I needed Engelbreit’s message so much today, I think that I needed Emily’s even more. She gave me a precious gift today and reminded of why I love being a teacher so much. Teaching is a labor of love that reaps so many rewards. It is priceless to watch your former students doing amazing things, transforming lives, and becoming productive adults. I cannot imagine a career that would be more satisfying. Yes, sometimes I am going to be disheartened. Sometimes I am going to feel helpless. Sometimes I will need to shut the door and let myself surrender to tears. This afternoon I cried out of frustration. Tonight I shed tears of pride and joy. Thank you, Emily! 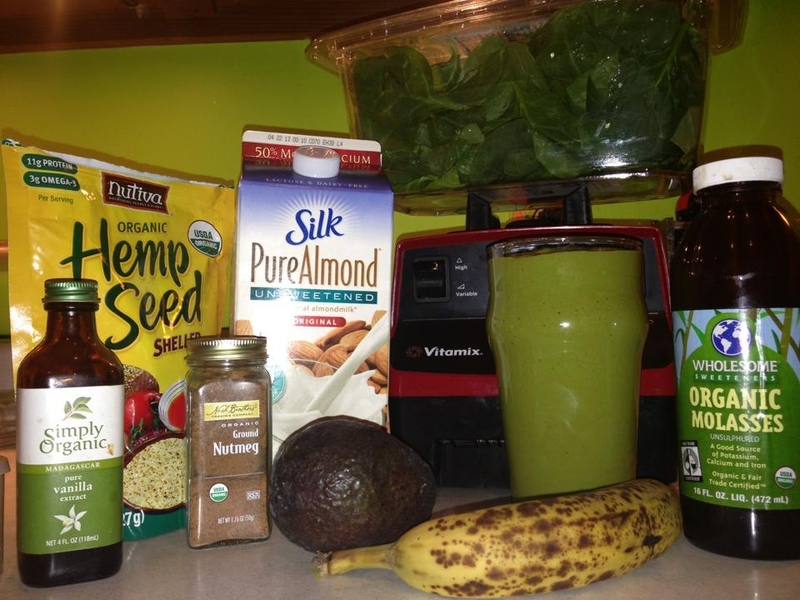 This entry was posted in Uncategorized and tagged Gingerbread Green Smoothie, Mary Engelbreit, Weight Watchers by Amy. Bookmark the permalink. As always this is beautiful and inspiring. Thank you my friend.